On 13-14 April, the Prime Minister of Australia, Malcolm Turnbull, paid an official visit to China for the first time since he assumed his post in September 2015. The Government delegation arrived in China accompanied by thousands of Australian businessmen. The particularly large group that disembarked on Chinese territory were there to show Australia’s exceptional interest in the development of relations with China, one of the three leading players in the Asia-Pacific region and Australia’s main economic partner. However, it is important that Canberra doesn’t overdo its demonstration of “warm feelings” to one regional leader, at the expense of its allied relations with the other two, that is, with the US and Japan. In addition, Canberra’s selection process of the best strategy is occurring amid active influence on the part of each of the three leading regional players. On top of that, Canberra is facing an increasing price of possible errors in choosing the best foreign policy strategy because Australia belongs to the Asia-Pacific region, where the “gravity center” of global political processes is currently being shifted. In particular, the subregion of South-East Asia (SEA) which Australia geographically closely borders is experiencing very high political turbulence. With a current total population of 25 million people, Australia ranks 13th in terms of national GDP. Its spending on relatively small (52 thousand soldiers) but quite modern armed forces totals about 23 billion dollars (12th in the world). Australia (along with Britain and Canada) is the most active member of American military actions in recent years. That is why it is often referred to as “Deputy Sheriff” in the Asia-Pacific region. However, in recent years, risks from the duties associated with this status have sharply increased, because it is increasingly having to focus its “Sheriff’s” activity on the PRC. This is why, rending assistance to the regional, and, in fact, as yet still global, “Sheriff” in good faith can cause Australia problems: the potential loss of its primary source of economic prosperity i.e. its extremely economic profitable cooperation with China. China is Australia’s main trading partner. Its share in Australian annual foreign trade turnover approaches 32% (in second place, Japan’s share is 16%, South Korea – 7% and the USA – 5%). What’s more, Australian exports to China are 30 percent higher than Chinese exports to Australia. Australia’s share in China’s foreign trade is only 1.7%, and it occupies only 14th place in the list of the PRC’s trading partners. These figures hardly allow us to speak of a “mutually beneficial economic partnership”. 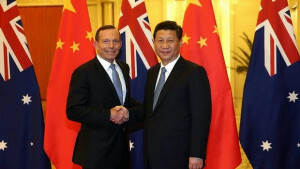 For Australia, the development of relations with China directly impacts the issue of securing its economic prosperity. While for China, cooperation with Australia plays a secondary role in economic terms. But not in terms of policy. For the fact of the matter is, China is an important breadbasket for Australia, which is a critical factor in its moderate role as “Deputy Sheriff” in Southeast Asia. And Beijing is, apparently, actively using this factor for its own benefit. In comments made by Australian experts on articles in the Chinese press on the subject of M. Turnbull’s visit to China, the term “implicit threat” cropped up more than once. 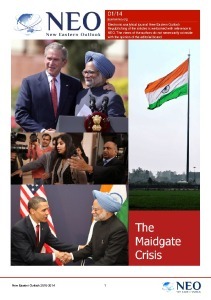 The threat was connected with the matter, discussed in these articles, of the critical importance of economic cooperation with China for Australia despite the American projects designed to create a certain anti-Chinese orientation that involves the indispensable participation of Canberra. This evaluation of the Chinese leadership’s policy toward Australia was probably close to the truth and can be explained with the worsening situation around China. The latest proof of the serious nature of the challenges that China faces were the US-Philippine Balikatan military exercises, held in the first half of April this year. At the end of these military exercises, U.S. Secretary of Defense Ashton Carter boarded the deck of the aircraft carrier John C Stennis (which happened to be in the South China Sea at the time). China considered this episode as a “demonstration of muscle”. The purely symbolic participation of Australia in these exercises was caused by an awareness of the fact that the warning signals coming from Beijing were, in fact, rather serious. Canberra, it seems, would be relieved if the (quite possible) transition of regional “Deputy Sheriff” status in coming years to Tokyo actually takes place. 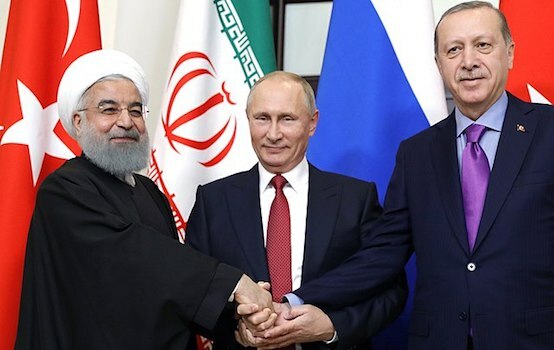 Such a prospect could become reality if the position of American “neoisolationists” strengthens. Indeed, that is perhaps the most remarkable feature of the current presidential race in the United States. Therefore, all the fundamental problems that Australia currently has to deal with in its search for optimal positioning towards the “US-China” pairing, will be transferred to its position regarding the “Japan-China” pairing instead. In this regard, in the comments made by Australian experts dedicated to the visit of M. Turnbull to China, it was particularly notable that there was discussion on the “automatic nature” of Australia’s involvement in a hypothetical armed conflict between Japan and China (for example, in the area of the Senkaku Islands). Previously this issue was raised in connection with a possible US-China conflict (for example, in the Taiwan Strait). During various events, members of the Australian delegation pointedly showed optimism about the prospects of the development of economic cooperation. Thus, according to the statement of the head of the Australian Treasury, S. Morrison, maintaining relations with “our trading partner №1 would continue contributing to Australian economic prosperity”. However, it is important to note that half of Australian exports to China comprise ironstone and 7% is coal. China, however, has just adopted a new five-year economic development plan, one of the fundamental provisions of which sets out the reduction of steel production by “zombie companies”, as well as a decrease in the share of thermal power plants running on coal. It is hard to imagine that the subsequent trade problems with China would not be brought up by the Prime Minister of Australia. 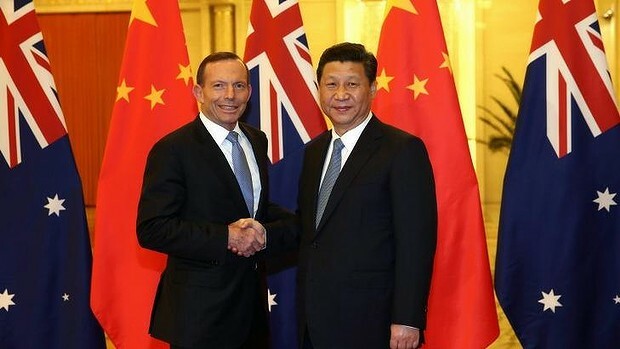 However, upon completion of the talks, there were just statements made by Australian representatives on the verity of China’s new course in its restructuring of its economy with an increase in the share of domestic components in total national GDP and on the shift in the bilateral trade structure towards joint work in the field of high technologies. But these are only words. Hardly anyone can predict how economic reform in China will go and, consequently, what kind of economic cooperation with Australia will remain. There are too many uncertainties to be taken into account. And, among them, perhaps the most important one is brought about by the complex political situation in Southeast Asia and in the Asia-Pacific region as a whole.